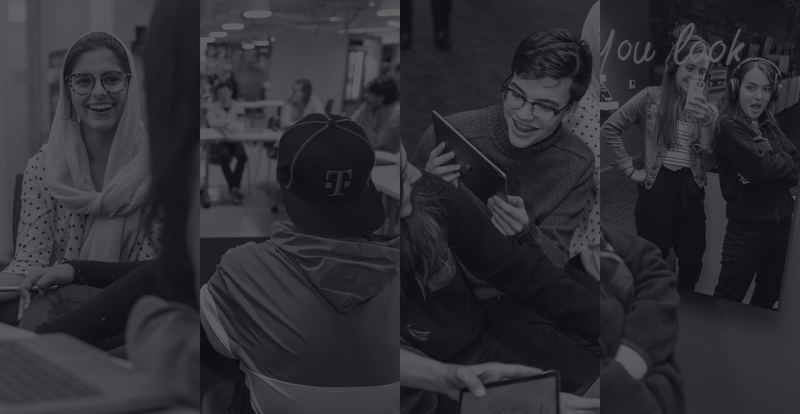 Entrepreneurship is not all fun and games – but the winning teams of T-Mobile’s Changemaker Challenge not only embraced obstacles, they are continuing to raise the bar for themselves and others on their mission to make the world a better place. Earlier this year, 30 teams of young adults and teens came together at the T-Mobile headquarters in Bellevue, WA to participate in the Changemaker Challenge – a two-day lab intensive co-sponsored by Ashoka focused on bringing together ideas from youth around the country. In the end, six teams were picked by T-Mobile’s CEO, John Legere as the best-of-the-best, who then returned to Bellevue for the chance to get hands on mentorship and advice from T-Mobile leaders. Here, the top six teams share more about how they’re breaking the mold, embracing their entrepreneurial spirit, and how the Changemaker Challenge program is helping them move their ideas forward. A Puerto Rican upstart is looking to help churches finance, transition to and ultimately manage solar microgrids to serve local communities in times of crisis. “Starting has been hard, but I’m very optimistic about the energy future that Puerto Rico can create for itself. This idea has gone from being a seed in my mind to becoming a complete strategy that could save lives in Puerto Rico." -- team leader J.I. Cruz. With representatives around the country, The Yellow Tulip Project is working to “smash the stigma” of mental health – opening a door to conversations about mental health by hosting community events and planting tulip bulbs – a symbol for hope and renewal. "Scaling and expansion is hard. The Changemaker Challenge has opened my eyes to the idea that the world isn’t a linear place. There are opportunities out there for me to make change – no matter my age.” -- Team leader Alison Ingalls. Envisioning a world where no kid is afraid to seek medical attention, ArtPass helps millions of kids around the world who are in the hospital without any form of entertainment by donating art supplies – improving their quality of life and easing the fear and stigma of hospitalization. “The hardest part has been proving ourselves. While we are young, we are serious. The Changemaker Challenge has made me realize that there are mentors – who I would typically think are inaccessible – who want to support us.” -- Team leader Malcolm Asher. A Seattle-based organization that hosts school clubs in order to break down barriers between general and special education students – providing special needs students with the opportunity to participate in school social experiences that are often unavailable to them. “Our biggest hurdle has been getting in touch with the adults in schools who are vital to Aware being able to reach more students. This experience has made me realize that the progress we have made is just the beginning.” -- Team leader Sarah Raza. Coining their tagline, “Creating access to opportunity,” Peerlift is tapping into the scholarship market by crowdsourcing information to connect high schoolers to financial aid, scholarships and internships.